New York Times photo editor Gaia Tripoli explains how she edited and sequenced a feature story by photographer Sergey Ponomarev. 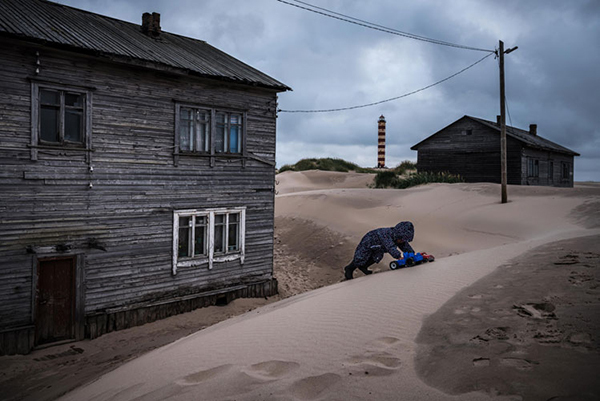 In our story about how Sergey Ponomarev documented the arctic village of Shoyna being swallowed by sand, we mention New York Times photo editor Gaia Tripoli’s role in assigning and editing the story. Here, Tripoli explains in detail how she edited and sequenced Ponomarev’s take, which included Polaroids, images of the landscape and village life, and videos.